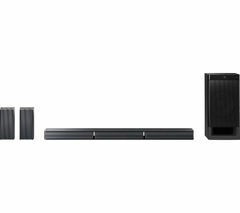 Recreate the drama and excitement of the cinema in your own living room with a Sony home cinema system, from Currys. There’s no denying that home entertainment has come on leaps and bounds in recent years, but it’s not until you fit a cutting-edge new TV in your living room that you realise just how crucial powerful, dynamically rendered sound is to the cinematic experience. If you want to achieve a truly immersive cinematic experience in your own home then stunning visuals must be matched with room-filling, high resolution audio. Our Sony home cinema systems can deliver the audio drama you need, and then some. Systems like the BDVN7200 5.1 Home Theatre System are capable of bringing true 5.1 channel surround sound to your living room – transforming it into a truly cinema-like space that will allow your favourite films to come to life like never before. Whatever you’re into, our Sony home cinema systems are guaranteed to imbue it with more drama, filling the room with stunningly amplified audio excitement that puts you at the heart of the action. Films will burst into life, dialogue will be crisper and more involving and sports fans will feel like they’re watching live in the stadium – especially when Live Football Mode is activated. 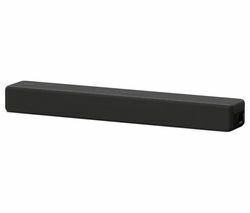 Check out our entire range of home cinema systems – including the latest Sony Soundstages – and discover how easy it is to transform your living room into a truly immersive cinema-like space.